Disruptive Technology Ventures consists of a seasoned team with broad experience in the fields of technology, entrepreneurship, business model optimisation, organisational development, international roll-out and board room deal making. We can offer the required execution support and networks to accelerate promising disruptive technologies to maximise their potential in the market. Ad has a long and very successful track record both as CEO and technology investor. 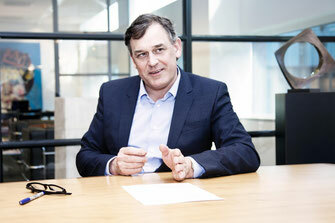 He is the former CEO of Royal KPN and TNT Group and completed several successful technology investments, including RFS Group (Wehkamp) and Fox-IT. His experience includes general management, international roll-out and technology investments. Ronald is one of the leading IT security experts in the Netherlands. After working at the Dutch Forensic Institute (NFI) and the Secret Service he founded Fox-IT, a leading IT security company which was sold to NCC in 2015. He has broad experience in fields of IT Security, scaling up tech companies, international roll-out and entrepreneurship. Menno is entrepreneur with focus on tech and impact. Together with Ronald Prins, he founded the IT security firm Fox-IT in 1999. He was the CEO till Fox-IT was sold in 2015 to NCC. Menno has several investments in innovative companies and is currently CEO at VanderSat, a leading global provider of commercial high-resolution soil moisture data, products and services. He has broad experience in fields of scaling up tech companies, cyber security, internationalization and entrepreneurship. Daan is building on 18 years of top tier Strategy consulting at The Boston Consulting Group in Amsterdam, New York and San Francisco. He has a background in Computer Science at the Technical University of Delft, specialised in Speech recognition using neural networks. His experience includes technology, strategy development and execution and business model optimisation. Marcel has an extensive background in management and in Private Equity. He started his career in various finance roles at Unilever. After 10 years he switched to Private Equity and Corporate Finance advisory. He has a background in Business Economics and holds a CPA degree. 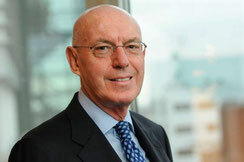 He holds various Supervisory Board positions,including TripleMed, VDR Bouwgroep and ACS Biomarker. His experience includes change management, M&A and financial restructuring.